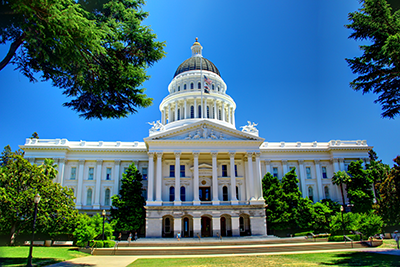 The 2019 California Government Relations Rally (GRR) is just two weeks away—and it is still not too late to register. Attendees at this year’s event—to be held April 8 and 9 at the Sheraton Grand Sacramento Hotel in Sacramento—will meet with state legislators and regulators on important issues, including a crucial cleanup measure to the California Consumer Privacy Act that will allow credit unions to continue to use personal information to protect against and prevent illegal activity; a bill to help increase financial literacy among high school students; and a bill to allow local governments to create a public bank. Other issues and talking points will be forthcoming as April approaches. Additionally, a California League PAC fundraiser will be held for Senate Pro Tem Toni Aktins on April 8. If you would like to co-sponsor or attend, please contact Heather deNecochea, Leagues manager of political advocacy, at heatherd@ccul.org. Besides issues affecting credit unions, the California GRR will host an attendee reception for networking and a discussion session among credit union leaders. For more information or questions, contact Robert Wilson, Leagues vice president of state government affairs, at robertw@ccul.org, or 916-325-1366.